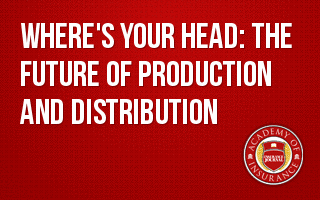 The new insurance distribution system is not your daddy's distribution system. Did you know that 80% - 90% of all purchasing decisions START on the Internet? What does that mean for you and your business' future? It means that you are no longer in control; consumers are. Marketing communications have changed. Have your agency's selling strategies adapted? Did you know that 4,000 new agents are competing for your business and many, if not most, have the tools and the hunger to take your business? How are you going to make money when more and more companies are eliminating commissions on some sales? In this presentation, you will learn how significantly and how quickly the insurance distribution system has changed; what it means to you; and the choice you have. You have a choice to ride this paradigm change to more success than you ever imagined or be crushed by it. The paradigm has already changed but you still have time, though not much, to make a definitive decision. The decision is yours. As Warren Buffet said, "What the wise do in the beginning, fools do in the end." What will your decision be?